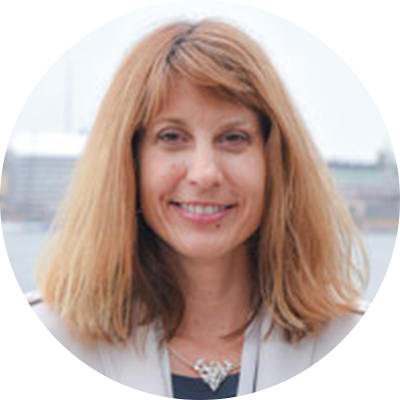 Dr. Cynthia Jacobson is the Advisor for Arctic Conservation for the United States Fish and Wildlife Service (USFWS) and the Chair of the Arctic Council’s Conservation of Arctic Flora and Fauna (CAFF) Working Group (2017-2019 term). As Chair, she presides over the activities of the CAFF Working Group, builds relationships and leverages resources to help accomplish the work prioritized by the CAFF Board. Prior to being the CAFF Chair, she was the USFWS Alaska Region’s Assistant Regional Director for Science Applications where she oversaw coordination of landscape-scale conservation efforts, including four Landscape Conservation Cooperatives (LCCs), all either fully or partially within the Arctic boundary. These collaboratives convene diverse partners to achieve shared conservation goals and objectives for their geographies. Dr. Jacobson has worked in resource policy and planning in Alaska for 19 years, leading collaborative, science-informed conservation in the Region. In that role, she has convened and facilitated many multi-interest stakeholder groups to address high-profile conservation issues, and has chaired regional and national committees. During her tenure in Alaska, she has developed expertise in Arctic issues and established strong relationships with local, state, federal, and Tribal governments, industry, non-governmental organizations, university and other conservation partners. She is called on as a subject matter expert in the area of building strategic partnerships and organizational transformation. Cynthia has published extensively, presented papers and led workshops and special sessions on organizational transformation at meetings and conferences. Prior to working for the USFWS, Dr. Jacobson was the Assistant Director for the Alaska Department of Fish and Game’s Division of Wildlife Conservation, where she worked for 12 years. She received a B.A. in Environmental Conservation the University of Colorado and M.S. and Ph.D. from the Department of Natural Resources at Cornell University. The focus of her dissertation work was transformation of state fish and wildlife agencies.